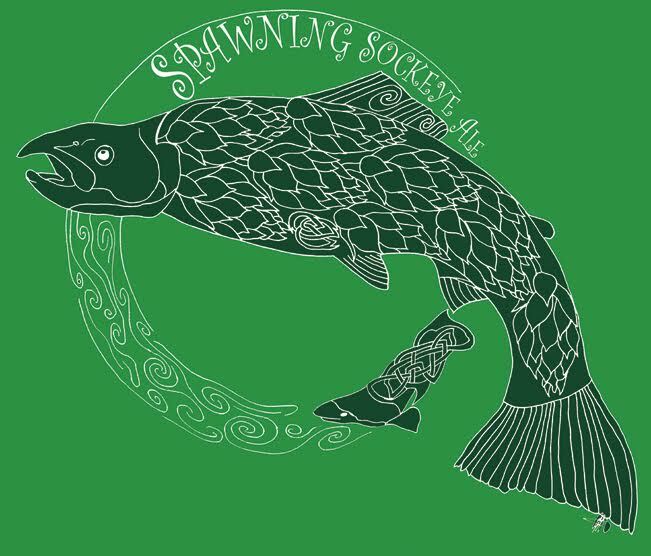 From Sorrento, British Columbia the Crannóg Ales brewery has brought back their Spawning Sockeye Ale. Celebrating the return of the Sockeye salmon to the rivers of BC for spawning this beer has double meaning being generously hopped with indigenous Sockeye hops grown locally on the Left Fields Organic Farm. Grown exclusively for Crannóg Ales, this hop has plenty of bright lupulin and a spicy, herbal fragrance. A perfect alternative to the ubiquitous citrusy IPAs by celebrating organic BC beer and our wild hops industry. The Spawning Sockeye Ale is a wild American Amber Ale which weighs in at 7% alc/vol and 35 IBU.